The Great Super Smash Bros. Election: We Need Your Votes! To our fellow people. Our fellow gamers. Today is a good day. This is the day that you, the voice of the world, get to make perhaps THE most important decision of your lives. Our lord, Masahiro Sakurai – the creator of Super Smash Bros. – has blessed us with an incredible power. The power to vote. The Great Super Smash Bros. Election. Who’s your winner? Vote in the POLL below. The process is very simple. Nine, prestigious, members of oprainfall are representing nine possible candidates. Each member will give their reason on why their candidate should become the next playable fighter in Super Smash Bros. for Wii U/3DS. Once you have read each manifesto, you will then have the chance to vote in a poll. Remember, you’re voting on who you think would make the best fighter out of all the candidates. After a certain amount a days, we will tally up the votes and announce who has triumphed and who has fallen. 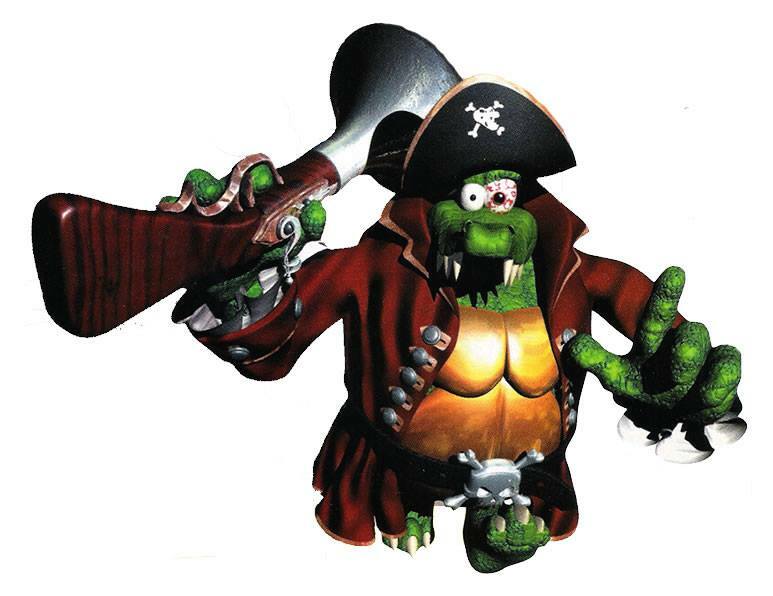 There are lots of great characters that could still see life on Super Smash Bros. via Smash Ballot, but I’m here to convince you all that you should vote Kremling! The Donkey Kong Country series was one of the best of the SNES era, and it’s ridiculous that only those hairy apes made the transition from Country to Smash. What about King K. Rool? That blowhard Bowser is in Smash, why not K. Rool? Even Ganon is in Smash, and they relegated him to a mere Falcon clone. This madness has gone on long enough. There are plenty of reasons to vote K. Rool, if you’ll listen for a moment. He has a blunderbuss, so you know he means business, plus he could utitlize tools from his many other jobs, such as Kaptain and Baron. Better yet, he could run circles around the other heavyweights, and do so in style. You think Bowser is brutal, wait until you see K. Rool bellyflop a foe into submission. Best of all, Super Smash Bros. NEEDS more villains, and since we’re never seeing Ridley, I say K. Rool is the next best thing. Well first off he’s a Namco-Bandai property, so those logistics would be way easier than another third party title character. 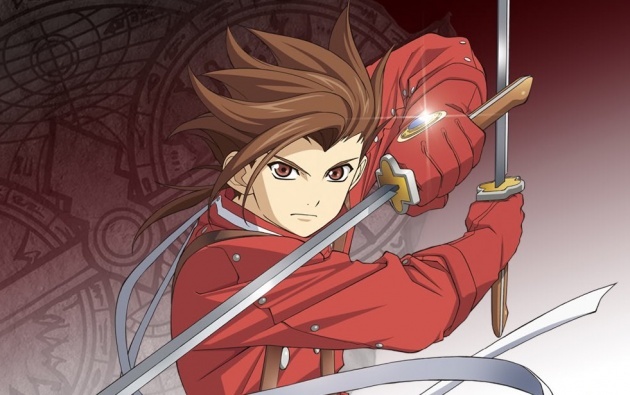 Secondly, Super Smash Bros. could use more RPG support and Lloyd fits the bill. He has a wide range of attacks and his native combat system shares a lot of similarities with Super Smash Bros. so he just fits right in. Vote RPG. Vote for Lloyd! Geno has an incredible amount of potential as a Super Smash Bros. character, thanks in no small part to his myriad abilities within Super Mario RPG. Geno primarily fought with projectile weapons in Super Mario RPG, using various guns and even his own fists as rockets to attack enemies, so he could work well as a possible match for Mega Man in that regard. Being an oversized doll could also make for some interesting and bizarre melee options, too…could you imagine a dash attack where Geno helicopters both arms around to attack opponents? It’d be weird, sure, but could shake things up a bit for such a range-type character. In addition, he has a few interesting options for his Special move set. Geno Beam seems like a natural charge neutral-special, though it could potentially also work like R.O.B.’s Robo Beam. Geno Whirl could work as a damage-dealing side-special that would cause more damage if a follow-up button press was timed correctly, though it probably shouldn’t be able to cause 9999 damage (or I guess, 999% damage). I’m not sure what could be used for an up-special, but perhaps a play on one of his weapons from the game (the Double Punch?) could be used as a recovery move, where he launches himself upwards by firing off his arms. I could see Geno Boost being used as a down-special, sort of like Wii Fit Trainer’s Deep Breathing, and Geno Blast or Geno Flash as potential Final Smash candidates. Of course, Geno would be a pretty quick character as he is the speediest Super Mario RPG party member, but he’s also pretty weak defensively, so balancing out his weakness to get thrown around easily with damage output is a must. Sure, Geno’s owned by Square Enix, who might be reluctant to let him be used. Sure, Geno’s been in a grand total of two games, the last of which was a cameo in Mario & Luigi: Superstar Saga, which is 12 years old now. But, considering that Geno has only appeared on Nintendo consoles and that Square Enix did approve a cameo for that game, chances are still there…slim chances, yeah, but still chances. Besides, Geno needs some love. After all, what does Square Enix’s ownership of him really do? He just kind of sits around, collecting dust. I think Gaz would be ashamed of them. Speaking of Gaz, you could also re-enact the first half of this scene in Super Smash Bros. Jussayin. Super Smash Bros. has had some good representation from RPGs, thanks to some combatants from Fire Emblem, Earthbound, and most recently Xenoblade Chronicles. However one series that had has been absent from the fray all this time is Final Fantasy. While I’m sure there are more popular and likely characters to choose from, I believe Terra is the perfect choice. Terra is one of the first characters in Final Fantasy VI that is able to use magic, so incorporating that into her move set in a similar fashion to Ness, Lucas and Robin makes sense. 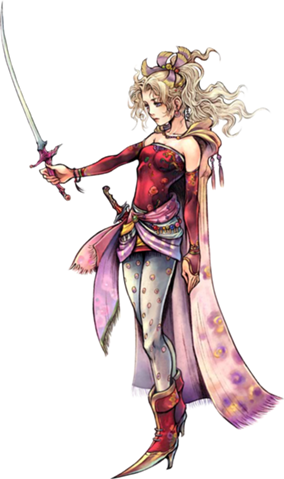 Given the nature of Final Fantasy VI’s customizable characters, this can gain Terra an interesting weapon or piece of equipment unique to her in Super Smash Bros. There are also the more quirky aspects of the character. Terra’s various expression of sadness, surprise, and laughter could easily be used as taunts, while her victory animation along with the accompanying music is an easy pick for when she wins a fight. Finally, her Final Smash could either be her Esper form or her magitek armor. Terra is one of my favorite characters from the Final Fantasy series, and if developers want to only include characters who have had mainline appearances on Nintendo hardware, I think she is the perfect choice. I’m here to make an appeal for one of the best video game heroes in recent memory. Not because of his ability to lead a battalion of super-powered individuals or his devastating punches, but, rather, his preference for diplomacy before violence. That’s why the Smash Ballot is such a great idea for including Wonder Red into the Super Smash Bros. roster! It’s exactly the kind of thing he’d want. It isn’t about proving your worth through displays of brute force, stylish moves or brilliant tactics (which he totally could, by the way, just saying), it’s about letting the people decide on their own. That’s why Wonder Red deserves your vote! But even if you aren’t convinced and you think that a dirty, glory-seeking snowboarder or an obese reptile would be the better choice, by all means, cast your vote for one of them. What makes Wonder Red such a hero is that he isn’t in it for the accolades. He, along with all the other Wonderful Ones, does his work anonymously; not for any kind of recognition, but for the good of every living thing on Planet Earth. Regardless of how the voting turns out, that will not change. Red may not come out and speak for himself, so let me do it for him. Give this Wonderful hero the chance he deserves! Don’t let diplomacy fail! There needs to be more Kongs in Super Smash Bros. The best new Kong to fit the roster would be Dixie Kong. Before everyone starts whining how Dixie would be another clone character, hear me out. Dixie does not have to be a clone character if Nintendo programs her correctly. 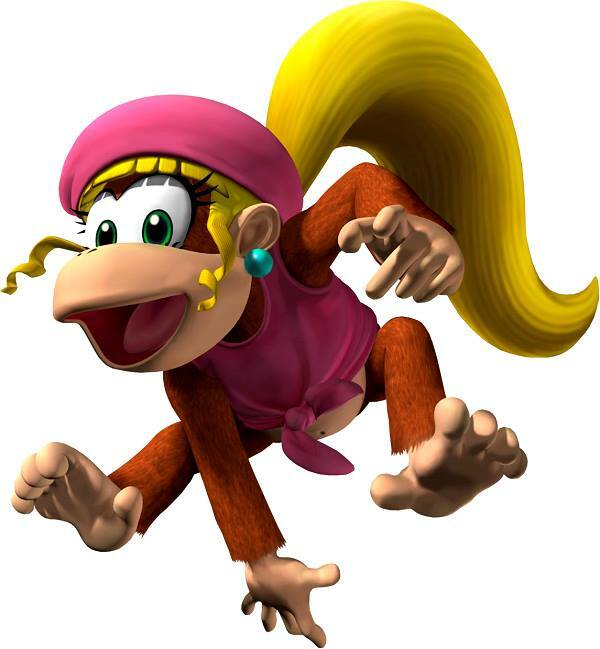 Dixie Kong has only been in a few games, most notably Donkey Kong Country 2 and 3. She would have some basic acrobatic moves, but would also be a fast, quick character. Why would Dixie be a good fighter? Her ponytail. Dixie’s ponytail could be used to attack enemies and help her get back on the stage. She would be hard to knock off the stage from the side as all she would have to do is use her famous ponytail twirl to fly in the air. Dixie could have a barrel or cannon ball throwing as one of her special moves. As for a final smash, there are two possible choices. She could rock it out with her guitar and have Tiny Kong play the Saxophone to deal massive damage to opponents or she could summon Kiddy Kong ala Donkey Kong Country 3 to help her take out enemies. Super Smash Bros. needs more members of the Kong family and the best fit would be Dixie Kong. Etrian Odyssey may be a third-party series, but the mapmaking dungeon crawler series has always been exclusive to Nintendo handhelds. (The work that Nintendo and Atlus are doing together for Illusory Revelations#FE sets an impressive precedent for collaboration between the two companies as well.) And with each installment, the series grows more and more popular, even if it is more niche than not. The Highlander makes a good representative for the Etrian Odyssey series as the main character of the only game (currently available outside of Japan, anyway) that has a dedicated story mode with set characters, as opposed to the custom characters of the rest of the series. Were he to be included in Super Smash Bros., he’d be the first fighter in Smash history to fight using a spear. Such a weapon could make for an interesting combination of both short and long-range attacks. He has several combat skills to cull from his home game for a potential Smash moveset—Legion Burst, Head Pierce, Spear Assist, and Black Sabbath, to name a few. His alternate forms could consist of four recolors of himself, plus the four new Highlander portraits from Etrian Odyssey 2 Untold: The Fafnir Knight (who, admittedly, are not the same character as the first Untold’s Highlander, but then, there’s Olimar/Alph and Bowser Jr.). Why not? Ryu Hayabusa is arguably the most famous video game ninja, getting his start on the NES in Ninja Gaiden. It was a classic game that defined NES-hard with its unrelenting gameplay. And if you beat the game, you could easily hold the claim of badass, just like Ryu. While he is mostly known for his exploits in the beat ‘em up genre, Ryu has appeared in the fighting series Dead or Alive. Not only is he competitor in the tournaments, according to DOA canon, he won the Dead or Alive 2 tournament. And I have to think that his appearance in these games helped revive the Ninja Gaiden franchise. Would he have to be toned down for Super Smash Bros.? Well, of course. There’s no way Nintendo would allow some of the… many of the graphical aspects of the recent Ninja Gaiden games (i.e. copious amounts of blood) to appear in their game. But I think maybe having a hybrid of the NES Ryu mixed with the modern Smash would work well. As for how he would play, I’m thinking he would have high agility, mimicking that of what we think a ninja would be. To counter this so that he isn’t so overpowered, his strength would be average and his defense would be pretty terrible. Basically, the best way to play him would be to bounce around opponents to land the best hit while dodging enemy attacks. For a Final Smash, he calls upon his ninja friends and they slice and dice everyone on screen. King K. Rool? Predictable. Geno, who’s only ever had one notable appearance? Not likely. Lloyd Irving? That guy is yesterday’s news. Ladies and Gentlemen, I’m sure my opponents tried their best with convincing you to vote for their candidate, but there’s only one whom you should really vote for, and that is: Ricky Winterborn. The star snowboarder from the 1080 Snowboarding series is perfect for Super Smash Bros. Utilising the power of his board to attack and defend, as well as using over the top snow, and ice attacks to bring destruction to all who face him certainly gives Ricky the edge. His air game would be second to none, using air tricks and stunts to perform deadly combos and smash attacks. He would be the perfect combination of a defensive and offensive character. Oh, and why not have the rest of the cast of 1080 Avalanche as his alts? Genius. If you want to go for unoriginality, then vote for Dixie Kong. If you want another plain old third party character, then vote for Ryu Hayabusa. But if you want someone different, someone who is cool as ice, and someone that will bring hope to your heart, then vote for Ricky Winterborn. It’s the right thing to do. Now that you’ve heard from all nine representatives, we kindly ask you to vote on who you’d like to see become of Super Smash Bros. Fighter. Who gave the best manifesto? Who would make the best character? Let us know by voting… NOW!